Again, *** this is a non-technical event ***; however, software developers are good at recognizing problems and coming up with solutions. Why not compare notes? Art gave a talk at few previous SoCal Code Camps titled “Beyond the Matrix – Getting to the Next Renaissance”. Art also gave a talk about the movie “Thrive – What on Earth Will It Take?” a few years ago as well. Some of the discoveries along the way suggest that there are influences at play that intentionally keep the people mislead, distracted, divided and conquered so that power and wealth flow into the hands of the few. Ever feel like something is going on behind the scenes that we should know about? This will be an off-the-cuff discussion that may touch on topics like involving our source of necessities of life (food, water, air, clothing, shelter, energy); our source of information/beliefs (education system, television “programming”, etc. ); and how things are trending over the decades to arrive at where we are and to see where we may be going. Agentless, capable of bootstrapping itself, Ansible is a simple configuration management tool which allows you to quickly launch servers, install packages, deploy code, etc. Prerequisites: some knowledge about linux and remote server administration is assumed. Drupal 8 is coming soon. Today, Drupal powers some of the most popular websites for world famous brands, such as - NBC, Warner Bros., Universal, Weather.com, Tesla, NASA, and many more, including WhiteHouse.gov. All big traffic destinations; all powered by Drupal. Drupal runs on the Cloud, has Commerce modules, and easily helps manage dynamic content with a top-tier WYSIWYG. Connecting third party API's, injest data feeds, and control over publishing workflows is all a part of Drupal already. The new killer feature in Drupal 8 revolves around better deployment practices for DevOps teams, making Drupal super Git/SVN friendly for continuous development, continuous intergration, and modern deployment routines. Firebase, the newest addition to Google Cloud, is a real time application platform. It includes a rich set of APIs for all major platforms (iOS, Android, REST) with bindings and framework libraries for Backbone, Ember, and Angular. Firebase syncs with the local cache of data on user devices in milliseconds which means apps remain responsive even when the network connection is unreliable. In this talk, we will walk through creating an application that leverages 3-way data binding using AngularJS with Firebase. We will also discuss some of the other powerful features of Firebase such as a simple login service to authenticate users (via Facebook, Twitter, Google+, Github, and Email), a flexible security system for your data, and rich querying soon to be integrated with BigQuery. Take a peek into the future of web applications! We go beyond MVC frameworks such as Angular or Backbone and dive into the world of Web Components, the newest HTML5 standard currently in review at the W3C. Component-based software engineering is not a new concept, but until now, it has never been possible on the web before. Various other solutions have been tried, such as jQuery plugins and MVC frameworks, but all have failed because they provide incomplete encapsulation. In this talk, you will learn the difference between component-based engineering and the MVC approach, and why the former is better suited to rapidly build complex GUI applications on the web. On the way, you will learn how to use Polymer, Google's newest frontend framework, to write clean and maintainable frontend code. Vision Enablers has developed a framework for ASP.NET applications over the last 14 years. It enables writing compact DLLs that support enterprise database systems - user interface, data access, work flow, caching, PDF report generation, inclusion of diagrams, automatic report generation and transmission, graphics, web services, JSON access, and much more. Several systems using this framework will be described, including one for a large environmental testing company with over 4000 tables and data growing 2GB per day. The application is self contained in small footprint DLLs that can be quickly deployed and updated. All code is in two C# projects. Better code is better than perfect code because you can get better, but you will never be perfect. In this talk we will explore the esoteric concept of what it means to do something better. Let’s face it software development is probably one of the most complicated things we as humans have figured out to do. But fear not as there are plenty of things we can do to make it a little easier. We will be discussing things like: Coding Standards, The Single Responsibility Pattern, Test Driven Development, Writing Maintainable Code, Writing Extensible Code, KISS, Refactoring, Following Design Patterns, Leveraging Open Source Frameworks, Pair Programming, and Persistent Learning. Focusing on continuous improvement we can make small changes that will result in big wins. It doesn’t matter if you have a 10 year old 1M line legacy code base or you’re starting a new project today. Following the techniques discussed in this talk can help make your code better. It’s easy to use and understand, and fun to learn. No prior knowledge needed. Come as you are, and leave with a little new knowledge. This presention covers concepts of REST and JSON and how to write such RESTful applications on the Java platform. This presentation covers how to write testable software, how to mock objects, including static, final, and private methods. There will be live code demonstrations during this presentation if time permits. In addtion, I will explain how to call Java objects from within Ruby, and also how to leverage Maven libraries within a Ruby application. I'll quickly write a Ruby on Rails application wtih JRuby if time permits. "Life moves pretty fast. If you don't look up from your terminal once in a while, you could miss it." Remember the days when it took months to get your app ready for production? Get more done with less code so you can play hookey for the rest of the day. Let Google handle data storage, scaling, caching, and all the things that keep you up at night when your app is in production using Google App Engine. The Ferris Framework is the only open-source Rails-like MVC framework built specifically for Google App Engine and support Google's services and APIs out of the box. In this session we'll build and deploy a custom web app from scratch, complete with authentication and a JSON api. Are you ready to take your debugging skills to a new level? Come learn about the ins and outs of what you can do with breakpoints and tracepoints. Learn about how easy it can be to set up remote debugging. Learn about some tools, techniques and tricks that allow you to approach a given problem with the best chance of success in this session, and level-up your bug-fixing prowess. Firebird does so much more than Excel. Calling all Delphi and C# Developers. As a bootstrap adventure, we are in need of your help in the following: application developers familiar with C# and/or Delphi, UI/Ux experience, financial modeling in Excel, and related experience in the development, maintenance, and marketing of an enterprise application. We need your free time and expertise. In exchange you will receive equity and delayed compensation (once the product provides a revenue stream you will be reimbursed). Firebird’s functionality exceeds that of Excel. Project Firebird was implemented to develop a financial modeling system that will reduce the risks of corporate financial modeling. Firebird has the potential to replace Microsoft Excel in the enterprise where audits, transparency and complexity are required. Studies by 3 major accounting firms and Dartmouth College report that there is greater than a 90% probability that Excel spreadsheets used in corporate financial modeling have significant errors. In its 124 page report to the SEC on its $8.6 billion loss (“London Whale” scandal), J.P. Morgan Chase devoted 5 paragraphs to errors in their Excel spreadsheets. One single error accounted for a $400 million loss. We have the prototype which we will demonstrate at Code Camp. You decide if you have the time and will to change the world. · Why the world needs Firebird. · How Firebird will solve the world’s problems. · Demonstration of the prototype. For you to judge for yourself. · Call to action. What needs to be done next? Legal issues that developers commonly face. Learn how to protect yourself. You've been tasked a project and you're part of a team. They're talking UX, persona's, testing, requirements and research. Where do you fit in and become an invaluable part of the development process? 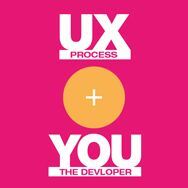 What IS the UX process? In this session you'll learn how, as a developer both back and front end, you ARE a valued and integral part of a successful product working within a UX/UI team and workflow. We'll briefly take a project or premise through a stepped iteration. We'll look at a the team structure, why it flows the way it does and the advantage of working within a UX team. From a developers point of view, we'll discuss where you fit in and what part in the collaboration UX process you play. This is a participatory session so be prepared to raise your hand and collaborate! In this session, iOS developer and author, Ahmed Bakir, will teach you to how to add audio and video to your apps using native iOS API&amp;rsquo;s. Despite its intimidating nature, getting started in media app development is easier than you think! You will also learn about new features in Xcode 6 and iOS 8 that can make your development workflow even faster. Suitable for beginners and experienced developers. With all the ideas, thoughts, questions, and solutions running around in our heads, it is sometimes difficult to stay on track. But we don’t usually notice we’ve lost our focus until some period of time later. You will learn why it happens, but more importantly, you will learn what you need to do to change this behavior to make your work and home life more productive. Keeping your attention on the right tasks, detecting when you are off track, getting back on track. Any distraction, internal or external, causes a decision, whether the individual is conscious of the decision or not. On what basis do you make the choice? Which direction do you go? What do you do about the other path not taken? Is it a matter of "Use it or lose it"? Come find out how to Master your Conscious Attention, your Conscious Awareness. We will explore different techniques to automate your infrastructure and code deploys. (cancelled) You may have heard of hiera if you're using puppet, and you may have heard of hiera-eyaml if you're using hiera, and this talk will cover both so that you'll be ready to encrypt all those variables that contain sensitive data. Data encrypted at rest is a compliance requirement but it will also allow DevOps engineers to share manifests with developers without disclosing encrypted values. In this third session, we'll continue working with our Internet Connected Arduino, this time we'll see how to publish data from the Arduino up to the cloud using Azure Mobile Services! In this second part of the series, I'll talk about options for connecting your Arduino up to the internet, then I'll show you how to control the RGB LED we connected up to our arduino in the first session using code hosted in a Microsoft Azure Web Site. Everybody is talking about the "Internet of Things" (IoT) these days. The Arduino is one of the easiest ways to get started creating IoT devices and connecting them to the Internet. In this session, I'll show you how easy it is to get started with the Arduino! The limited physical resources on an Arduino microcontroller board pose a lot of times challenges for both newbies/non-programmers and 'seasoned desktop developers' alike. There are going to be times where you are stuck with managing the server(s), software, and the application codebase. In this session, I will talk about Jenkins, a continuous integration tool that is very useful for testing your software and also for deploying it / managing it. I'll talk about using Jenkins with Capistrano where we use pre-existing deployment management software to tie Jenkins and our application together. I want to emphasize that since Jenkins is very much a frontend, the Capistrano portion of it can really be replaced with anything else you want (Chef, Puppet, Scripts, etc). In this demo we can achieve a system that can perform code deployments, run updates, perform rollbacks, synchronize db/files between dev/staging/production/whateverelse and so much more with just a little code. In the second half, I will discuss technique in converting real-world problems to LINQ queryable problems and provide an end-to-end example. You will learn why naming is really difficult if done right, why coding and style guidelines are crucial, code structuring, exception handling and why other elements of coding often define the tipping point between success and failure of projects. Following the principles of software craftsmanship will allow you to end up with better maintainability and extensibility of your software and the success of the project in the end. All 3 Clean Code presentations provide great value by themselves, but taken together are designed to offer a holistic approach to successful software creation. However, writing clean code also makes you more efficient during the initial development time and results in more stable code. You will be presented best practices which will make you write better and more easily maintainable code, seeing code in a holistic way. You will learn how to apply them by using an existing implementation as the starting point of the presentation. Finally, practices benefits are explained. This session will introduct NoSQL and DocumentDB. It will show where DocumentDB is useful, how it's archtitected, and how to write sample applications against it. This session is geared toward the .NET developer. In part 2 of this talk we'll take a depper look at the tools you need to build an asp.net vnext app. That includes k, kvm and more. We'll also look at building apps using Visual Studio 14 and without it. You can now build asp.net web apps in any IDE or tool you want. We'll look at cross platform ability as well as new features in ASP.NET MVC 6 and Razor. The microservice architectural style is an approach to developing an application as a suite of small services. Each can be independently developed and deployed. In this talk, we will cover the pros and cons of microservices, including contrasting with the more traditional 'monolithic' application. We will also dive into the most common mechanism used to expose their functionality: RESTful APIs, including a discussion of HTTP and its components. You will learn several tricks to becoming more productive in Windows and Visual Studio. We will explore some standard windows shortcuts, how to never use the start menu again to launch programs, how to create shortcuts to your commonly used web sites, some very useful Visual Studio extensions, and some items you should setup keyboard shortcuts to in Visual Studio. This session will provide you with get a quick overview of nuget and then learn how to find/consume packages, create packages, view package internals, and host your own feeds. You will walk away with enough knowledge to be both a consumer and creator of package. At this years WWDC, Apple announced a new and powerful programming language called Swift. Swift will eventually replace Objective-C in iOS and OSX development. It's clear that with Swift, Apple is trying to incorporate many of the features that people like in many other modern programming languages, such as Python, Ruby and particularly Java. Swift is a fun and flexible language that should still feel very familiar to current Objective-C programmers but without the common barrier to entry that many programmers have felt historically when it came to learning Objective-C. This month our speaker, Jon Flanders, will take us through an introduction of Swift and show us some of the new features in Xcode as well as Playgrounds: the new development interface that allows developers to experiment with code and get the results in real-time without having to compile and test. Creating a new team project and setup version control, Process template etc. Create a new website with SQL Server backend. Brief preview of Windows App Studio and create a mobile app for your website. This talk will present a first-hand look at the Android Wear platform and an introduction to Android Wear APIs, how to design effective user interfaces that work best on a wearable device. Learn about how to use Google's Android Studio IDE for creating apps for Android Wear devices and bringing wearable experiences to your Android apps. We will walk, step-by-step, through designing and building a small, native, contextual app for Android Wear. Of course using Java and Android Studio, the new Android development environment based on IntelliJ IDEA. IT’S DONE! C# 6.0 IS HERE! …well, kind of. Microsoft has released the Community Technology Preview for Visual Studio 14, and bundled with it, C# 6.0. We have flown these magical devices for a few hundred hours over the last two years. We have bought and built too many multi-copters (unfortinately also known as drones). Anyways, we would realy love to share some of our most exciting and memorable expirences with you. But be warned! You will leave the session, with the strong desire to aquire parts (you before didn't know existed) and build a muli-copter of your own. Many enterprise companies and developers feel that applying security fixes can be complex and expensive. A simple solution to catch the low hanging fruit of web application attacks is by applying security HTTP headers. Many of these HTTP headers protect against Cross site scripting, Sql injection, clickjacking, and others that will be mentioned. Implementing security headers to an application takes very little effort for any language or framework. One of the greatest benefits to implementing the HTTP headers is its cost effective approach, which is FREEEEE! Try and get buy-in from the Project Manager with that one. Come join this talk to start learning how to better secure your web applications! MongoDB is a very popular NoSQL database that is fast and scalable. This talk will get you familiar with this unique database and arm you with the essential skills to start using Mongo to power your softwre applications. Leave your SQL thinking behind and come see how things can be very different with MongoDB. In this session we will follow play-by-play scenarios of concurrency, and track down the nitty-gritty details that make concurrency such a tough nut to crack. If you ever wrote a web application or used large scale database systems, you must have encountered some of the challanges that concurrency poses. In this session I'll show how to build a cross platform mobile app with C# and Xamarin Forms. I'll also show how to use existing components from the Xamarin site. Come learn in this meta talk about devops and a winning attitude to get out to production. Does this ever happen to you? The configuration takes forever to rembember document and configure. Would you like to try changes in your dev environment with a close to production sample? Then vagrant my friend is for you. Power point Presentation along with a live demonstratio. Finish the integration mappings and administration that allow for the syncronization between the project server and the team fooundation server. Create a User Story and task that will be assigned and sync between the enterprise project and the team foundation server.Modify the global workflow definition for the Project Server Submit field for the team foundation server. Add state and iteration field mappings to the default field mappings. Map the team project collection to the project web application on the SharePoint Server. Create a Team Project Visual Studio 2013 and an Enterprise Project on the project Server. Configure Admin Accounts, team members and integration permissions for both the Team project and the Enterprise project. Map the Team project to the Enterprise Project. Power point presentation along with a live demonstatration on how to install and configure Poject Server. This will also incude creating a Project Web Appliction, Installing Team Foundation Server Extensions for SharePoint Server and Project Server. Install and configure Team Foundation Server for use with SharePoint Server, SQL Server Reporting Services, and Project Server. Couchbase Server is the NoSQL document database for interactive applications. Node.js is the platform for building fast, scalable network applications. Just about everyone wants to build better responsive and more engaging experiences for their users, and we can help. In this session, Matt Ingenthron will first talk about what is different about this generation of web applications. The approach must consider the latency, throughput and interactivity demanded by users for social interaction across both mobile devices and browsers. Then they will show how Node.js’s programming model makes writing systems to provide this kind of interactivity easy and how Couchbase Server and the Node.js Couchbase SDK support this with a flexible data model and easy scalability. Come to this session ready to read code, since a sample game platform will be the basis of a demonstration of these techniques in action. Matt will show a sample game server, and key aspects of how the system is constructed for simplicity of data modeling, extensibility and scale. Powerpoint presentation along with a live demonstration on how to install and setup Sharepoint 2013 with SP1 and Project Server 2013. This also incudes setting up adminstrative accounts in the domain and in sharepoint. If time allows will also install Team Foundation Server 2013 with Update 3. In this introduction talk we will discuss how you can leavarage the power of Sass, Compass and its extensions Singularity GS and Breakpoint to build robust yet flexible websites that adapt to any device size. With this short session under your belt, you'll finally 'grok' Git, and what it's about. With the basics demystified, you'll then be able to proceed onward with confidence, and harness some of its awesome power on your own projects. This session will NOT deal with advanced workflows. The primary focus of the session is understanding its underlying concepts -- giving you a solid foundation to move ahead on your own, and take full advantage of all the other helpful resources available. In the second of two session, we will port our Androidgame to Window 8. We will keep our game code nearly unchanged in the process. We will take a tour of the platform differences and even list out the gotchas. We will also look at some free game development tools including CocoStudio and Cocos IDE. At the end of the sessions, the slides and source will be available for download. In the first of two sessions, we will explore using Cocos2d-x, a free and open source game engine. It runs on Windows, Mac OS X, and Linux and builds games for every popular phone, tablet, and desktop platform. It uses C++ to get close to metal performance and a smart and logical set of classes to make it easy. Don't let the C++ scare you off. We are using Cocos2d-x to create fun platform games, not building complicated financial software. So long as you know at least one curly brace language you will be able to write Cocos2d-x style C++. We will explore how to install Cocos2d-x. How to build the test apps and finally how to build your own apps. With Ionic you build mobile apps using the web technology you already know and love. Think the app will be slow and clunky? Think again, Ionic comes out of the box with well design CSS3 classes to make beautiful and fluid apps. Using Cordova and jQuery Mobile already? Well, with Ionic you will learn to love mobile development again. No more write-only spaghetti code, Ionic makes it easy to create clean, testable, logical mobile apps. Need to support tablet and phone in the same app? Ionic has you covered. You can create one app which will use responsive design to change its look based on the device's screen dimensions. In this talk, I will show how easy it is to create a mobile with Ionic by building a simple but feature full app live. We will start at the command line, with one command, Ionic creates the skeleton of our app. Then using a text editor and the Chrome browser we begin building out our app. We can get it all up and running without the need for a mobile device. We will use live reload so we see our changes as soon as we make them. Once we finish, a few commands deploys our app to a simulated device. Want to get started but heard what a pain it is to install a mobile development environment? Never fear, the Vagrant Ionic Box provides a complete Android development in a virtual environment for Windows, Mac OS X, and Linux. You will be up and coding in no time. After the talk, the complete source code and slides will be available for download. This session will be packed with info on the following topics:&lt;/p&gt; &lt;ul&gt; &lt;li&gt; How Bitcoin works at a technical level. History of bitcoin and its creator.Regulatory status of bitcoin globally.&lt;/li&gt; &lt;li&gt; Overview of how bitcoins can be used for financial. If time and interest permit, we will can go into depth about crypto 2.0 and smart contracts.This session is geared to someone with little to no knowledge&amp;nbsp;of bitcoin. It is designed to bridge the gap between developers and stakeholders. In this session I will cover the basics of Cucumber and how your team can benefit from it. Creating a basic application using Cucumber. In this presentation we will introduce ASP.NET vNext, the newest iteration of the Microsoft Web Development stack. See how ASP.NET MVC and WebAPI fit into this new modular and decoupled development stack. We’ll examine the new cloud optimized framework and see how it can provide you with a leaner, faster and more memory efficient web application. The various components will be examined including how Roslyn and Nuget contribute to this new framework. This session will focus on my must have Visual Studio add-ins and other tools that makes programming faster and easier (and makes you look like a rock star programmer). All the tools that are either free or very affordable. Tool categories include add-ins for debugging and profiling and more. These tools are designed to impress your boss and get you home at a reasonable time. This session is packed full of demonstrations! Sit close and you just might catch a custom dotNetDave guitar pick. Some of some of them will win you free software! With lots of new material for 2014 (126.190%), this session will guide any level of programmer to greater productivity by providing the information needed to write consistent, maintainable code. Learn about common coding mistakes, defensive programming, writing better types and much, much more. Code tips are included to help you write better, error free applications. You will also find out what &lsquo;Progniant&rsquo; is. This session is based on my latest book, <a href="http://codingstandards.notlong.com" target="_blank">David McCarter&rsquo;s .NET Coding Standards</a>. Sit close and you just might catch a custom dotNetDave guitar pick. Some of some of them will win you free software! Have you ever not gotten a job because you weren’t prepared for the interview? Would you like a big raise? Do you need motivation to rock your career? I’ve interviewed 100’s of software developers and will share my knowledge on how to survive, what we look for and even divulge some of the secrets we use during the process. Whether you are looking for a new position within your company or at a new company, this session (62.5% new material for 2014) will include crazy and strange interview stories from engineers just like you! This session includes tips to get you started, working with recruiters, getting prepared, the technical interview and more. You will also learn what is the #1 question you need to ask during an interview… it’s a game changer! Sit close and you just might catch a custom dotNetDave guitar pick. Some of some of them will win you free software! This session will provide a brief introduction to elasticsearch 1.x that will lead into a more advanced usage of the search engine platform.